Woozy Guys (also known as Jumping Shy Guys) are Shy Guy variants that perform forward flips in the air instead of walking. 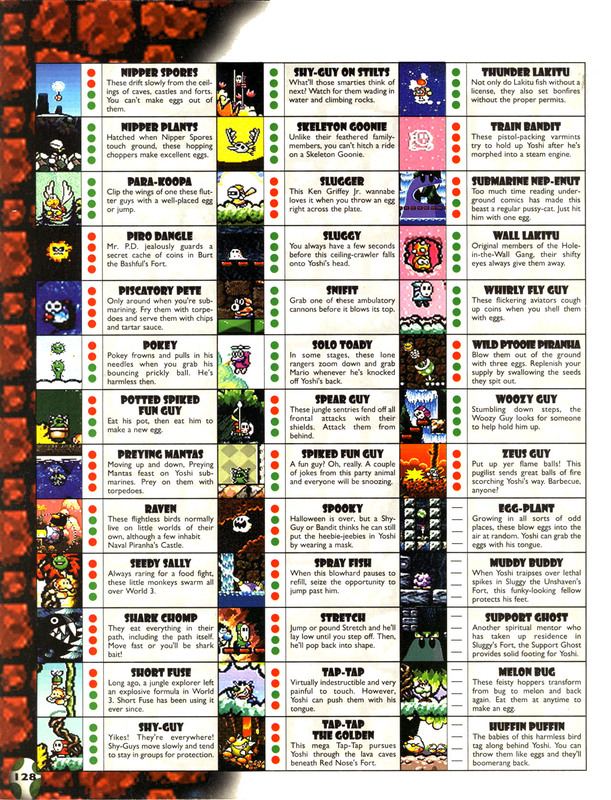 Woozy Guys appear in Super Mario World 2: Yoshi's Island, its remake Yoshi's Island: Super Mario Advance 3, Yoshi's Island DS, Yoshi's New Island, Yoshi's Woolly World , Poochy & Yoshi's Woolly World, and Yoshi's Crafted World. 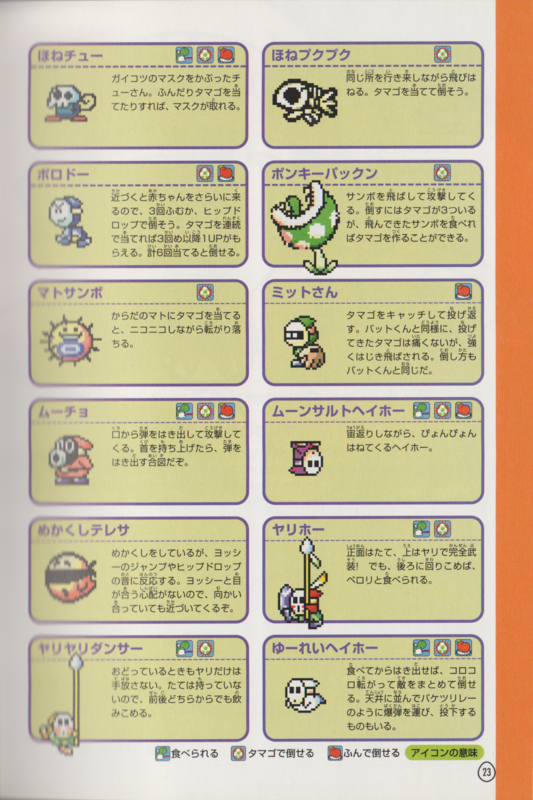 They appear in the Island Museum in Yoshi's Island DS. In Yoshi's Woolly World, unlike in previous appearances, all Woozy Guys in this game are purple, to help distinguish between them and Shy Guys. Woozy Guy from Super Mario World 2: Yoshi's Island. Yoshi and Baby Mario viewing Woozy Guys at the Island Museum. A Woozy Guy being viewed at the Scrapbook Theater in Yoshi's Woolly World. This page was last edited on March 28, 2019, at 22:13.